Now this a book that warrants serious attention from readers and critics alike. 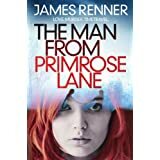 James Renner’s debut ‘The Man From Primrose Lane’ is marked by it’s refusal to conform to the normal boundaries of the crime fiction writing genre, and instead plays with the conventions of a linear story, imaginatively taking the reader in a whole new direction. 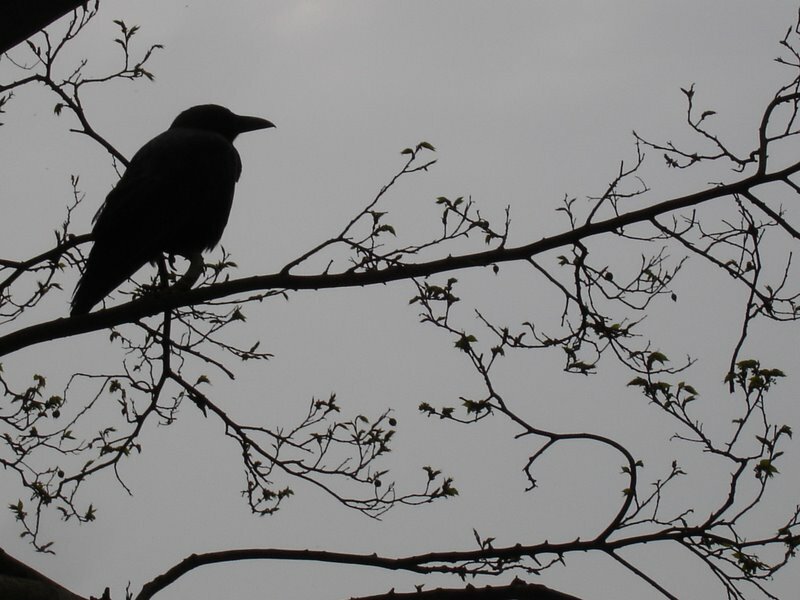 Over the last few years it has not been unusual for renowned fantasy writers such as China Mieville and Tad Williams to circumvent the constraints of their genre by presenting their readers with a crime fiction plot in a fantasy setting, but only after having established their reputations in their chosen genre. With a controlled use of plotting, and having established what appears to be a normal linear crime story, Renner bravely takes the reader into a fantastical flight into the realms of SF and fantasy, whilst never losing sight of the demands of the conventional crime reader, with an assured and utterly engaging touch. And this is where the story takes the most mysterious of turns, but by my previous reference to the SF and fantasy genres, there is some small clue to the bizarre and intriguing adventure, across different dimensions of time, that you as a reader will encounter with this book. I was wrongfooted completely by the strange turn of events, having read a proof copy with little in the way of blurb contained within, but this for me certainly, made for a multi-stranded and at times complicated tale. I would certainly recommend that this is not a book to be picked up for a few pages before entering the Land of Nod, as it does require that attention be paid on the part of the reader to navigate the later stages of the book, but I would hasten to say that it doesn’t make the book a difficult read per se but more that you will enjoy the cleverness of it more by keeping your wits about you. Supported by a host of surprising and compelling characters the plot mushrooms into abduction, murder and a thirst for justice amongst the main protagonists. 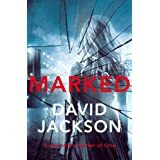 I think the strength of characterisation throughout, particularly good in the female characters of Elizabeth and Katy and that of main protagonist David, provides a good foil to the unexpected twists and turns in the plot,that cheekily court more than one suspension of belief on the part of the reader. But you know what- Renner gets away with it. 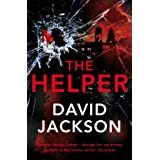 The writing is compelling, veering at times closer to contemporary literary American fiction, whilst maintaining a good conventional murder plot to carry the action along. ‘The Man From Primrose Lane’ tests your imagination from start to finish and this makes it all the more special for that. A wonderful read with an ending that may tempt you to turn back to the beginning to decipher the clever myriad of clues that lie within its pages. “Right at the end of the war, some Nazis saw it coming. They knew that even if they escaped, hundreds of others wouldn’t. They needed to set up routes, channels, ways out for their friends. Ratlines.” Ireland, 1963. As the Irish people prepare to welcome President John F. Kennedy to the land of his ancestors, a German is murdered in a seaside guesthouse. He is the third foreign national to die within a few days, and Minister for Justice Charles Haughey is desperate to protect a shameful secret: the dead men were all former Nazis granted asylum by the Irish government. A note from the killers is found on the corpse, addressed to Colonel Otto Skorzeny, Hitler’s favourite WWII commando, once called the most dangerous man in Europe. It says simply: ‘We are coming for you. Await our call.’ Lieutenant Albert Ryan, Directorate of Intelligence, is ordered to investigate the crimes. But as he infiltrates Ireland’s secret network of former Nazis and collaborators, Ryan must choose between country and conscience. Why must he protect the very people he fought against twenty years before? And who are the killers seeking revenge for the horrors of the Second World War? Stuart Neville more than proves his versatility as a writer with his new historical standalone novel, ‘Ratlines’. 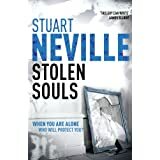 By carefully blending a mix of authentic historical characters along with fictional protagonists, Neville brings to life a dark period of Irish history that has been rarely addressed in fiction before, and weaves a tale of political duplicity, betrayal and murder that grips the reader from outset. Set in 1960‘s Ireland with a visit from President Kennedy on the horizon, there comes to light a series of murders of individuals tainted by their former lives as Nazis or as Nazi collaborators who have sought sanctuary in Ireland, either as permanent residence or as a stop off point in their fleeing to South America. Using the ‘ratlines’, a network of escape routes, their flight to Ireland has remained largely unaffected until their identities become known and the systematic killing begins. Otto Skorzeny, a former shining light in the Nazi regime, finds himself in the spotlight of the killers, but drawing on his close affiliation with Justice Minister, Charles Haughey, and Skorzeny’s integral part in the ratlines, seeks to evade their clutches. Enter our hero Lieutenant Albert Drake of the Directorate of Intelligence, assigned to uncover the killers and to protect and defend this representative of a pernicious regime, that Ryan himself had fought against as one of the 100,000 or so, Irishmen that fought for Britain in World War II. Ryan, whose own parents are persecuted for the perceived nationalistic betrayal of his fighting for the British, uncovers a shadowy world of dubious morality, ultimately fuelled by a no more complex motivation than greed. As the plot progesses, Ryan finds himself drawn into his own moral maze, an unwitting pawn working at the behest of powerful politicos and manipulated by those seemingly seeking retribution for crimes of the past. The plotting is absolutely first class throughout and with the attention to historical detail, this book opened up to me a dark period of Irish history that I was entirely unfamiliar with, as well as referencing the role of individuals from Breton during the war and their collaboration with the Nazis in their determined seeking of independence from France, which in turn leads to their forced flight to the sanctuary of Ireland. Through Ryan, we observe the ambivalent response to ‘The Emergency’ as Ireland named World War II, and the continuing persecution of those Irishmen who defied the genrally held consensus of opinion that Irish citizens should not have fought on the side of the British. Using the theme of the ratlines, it becomes clear how some of the most evil figures of the Nazi regime had escaped justice and how individuals like the scheming, Skorzeny inveigled their way into the favour of some less than moralistic political figures in Ireland. Add into the mix, an assured and pacy plotline that carries the reader along effortlessly as these treacherous games of betrayal and murder unfold, and what we have is a novel that quickly holds the reader’s attention. 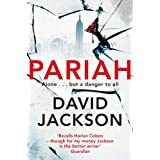 Other reviewers have queried a perceived lack of deep characterisation in this novel, but I would take issue with this, observing that the main protagonists are perfectly well-drawn and that their essential human qualities, and morals, or conversely lack of, moral stature are in evidence throughout. This is the not the type of book that needs a complex exploration of the human condition, as their motivations for their own behaviours and their manipulation of others, flows easily from the the central narrative and the direction of the plotting. Indeed, the characterisation was to me, perfectly executed giving no qualms to me as a reader as to my own responses to the array of, at times, morally dubious characters on display. I liked the way that Neville manipulates the reader slightly by making some characters that every fibre of your being is telling you to hate, seem almost charming in their own way, but not blurring the boundaries enough that you won’t fail to relish the prospect of their come-uppence. Ryan is an empathetic hero of the piece, and Neville slowly reveals layers to him, as professional soldier, and essentially moral individual and a different side to him in a nice little romantic development in the plot, that fits in well with the overall arc of the story. There is always a slight danger when established authors branch out into a standalone, and whilst bearing in mind the strength of Neville’s previous series and seeing some less successful standalones from other well known series writers, I did have fears, but trust me, my fears were assuaged very quickly, by being so immediately drawn into this thrilling and enthralling plot. My first read of the year and I’m pleased to say a very enjoyable one at that. 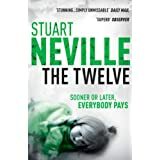 Stuart Neville’s first novel, The Twelve, was one of the most critically acclaimed crime debuts of recent years. It was selected as one of the top crime novels of the year by the New York Times and it won the Los Angeles Times Book Prize for best thriller. 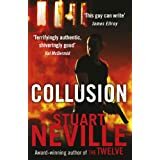 His next novels, Collusion and Stolen Souls, garnered widespread praise and confirmed his position as one of the most exciting new crime authors writing today. Visit his website at:http://www.stuartneville.com/ . Follow this link to read Ratlines:the first two chapters .